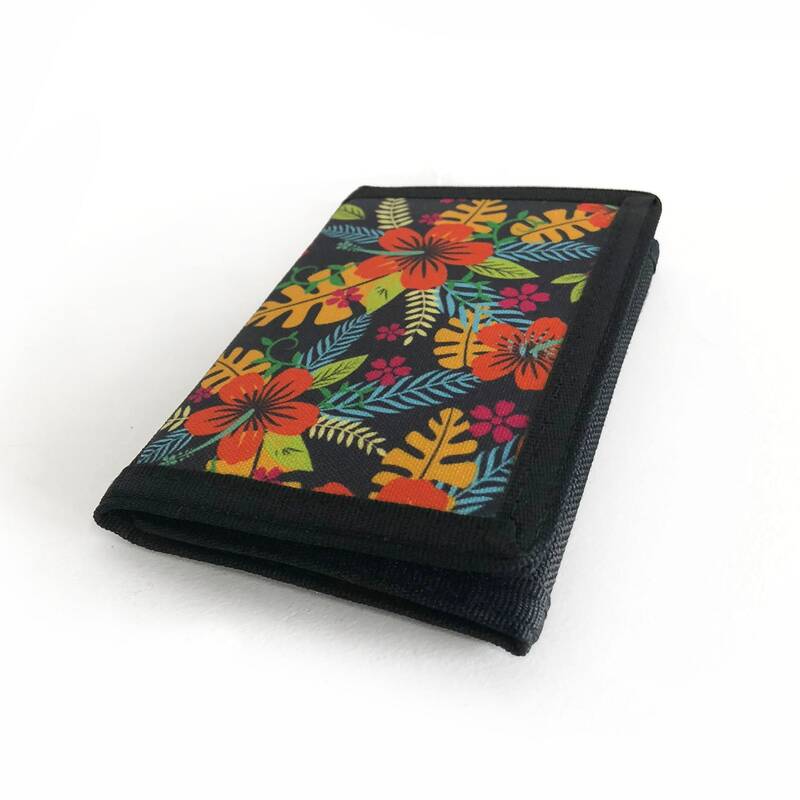 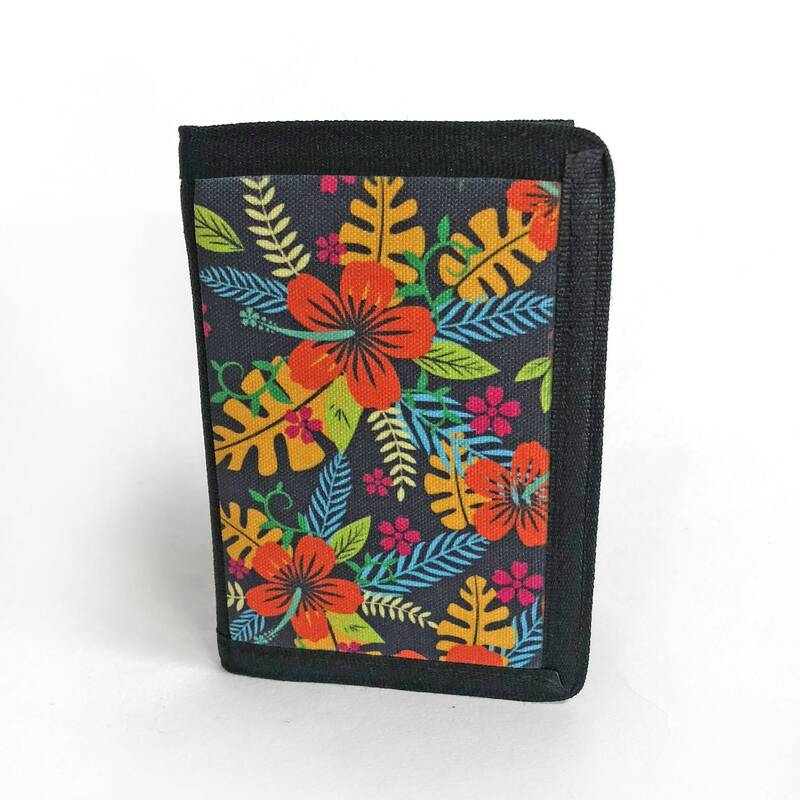 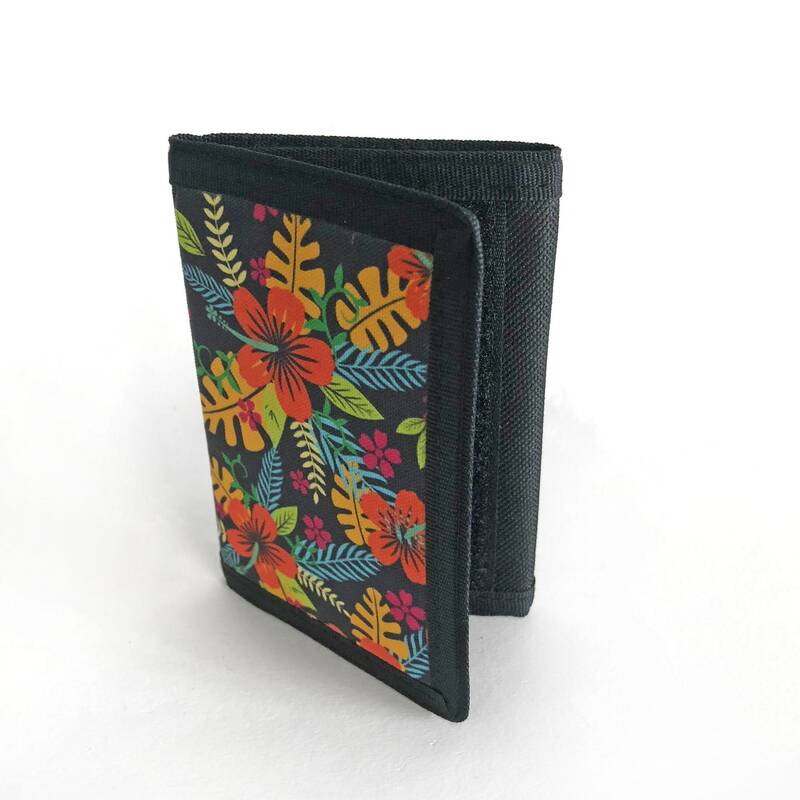 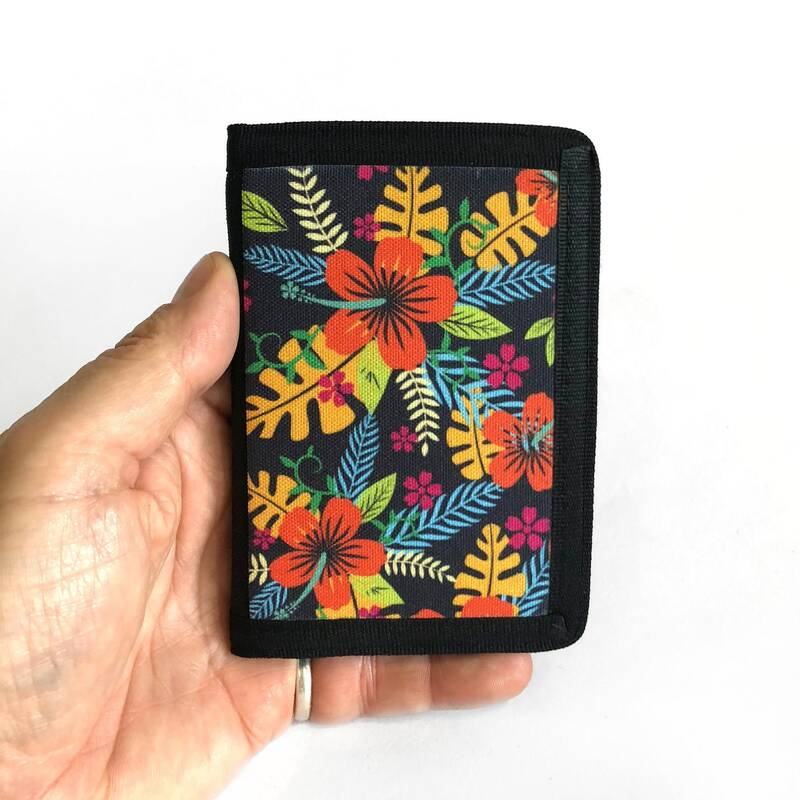 Wallet with Hibiscus flower print. 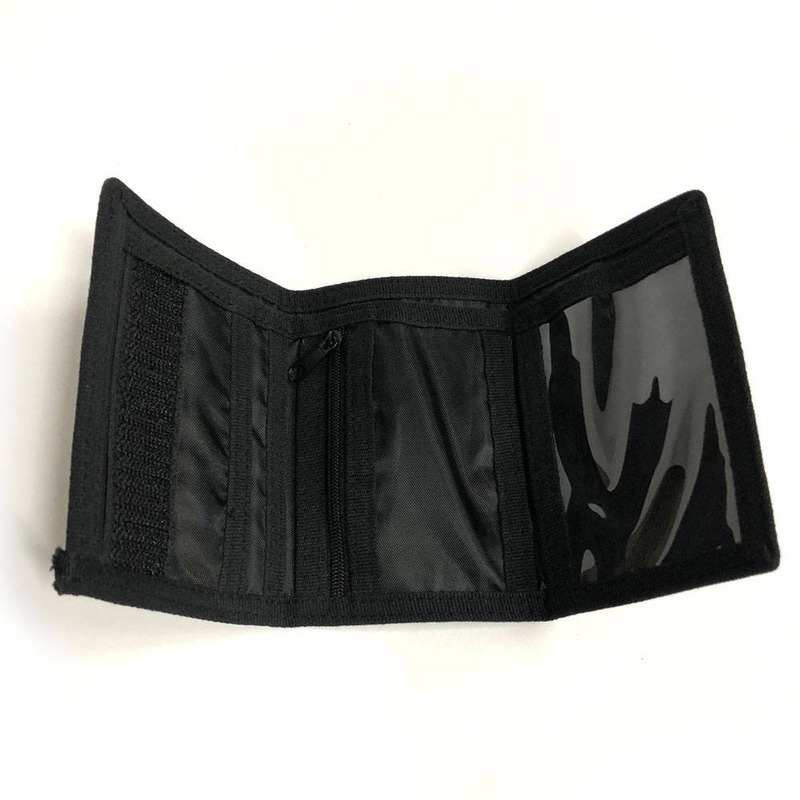 Inside: double lined water proof supple polyester fabric. 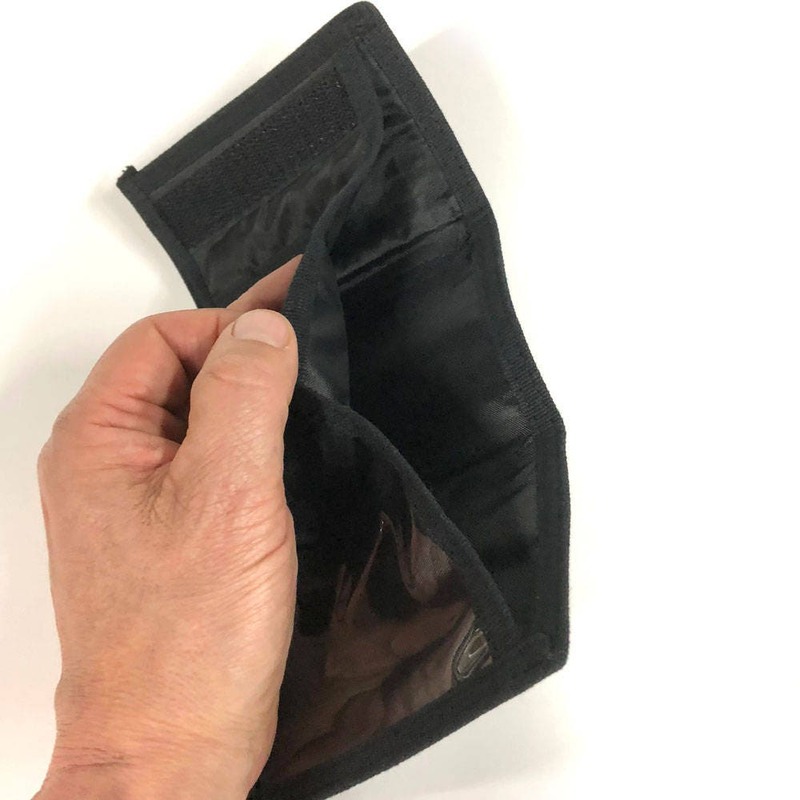 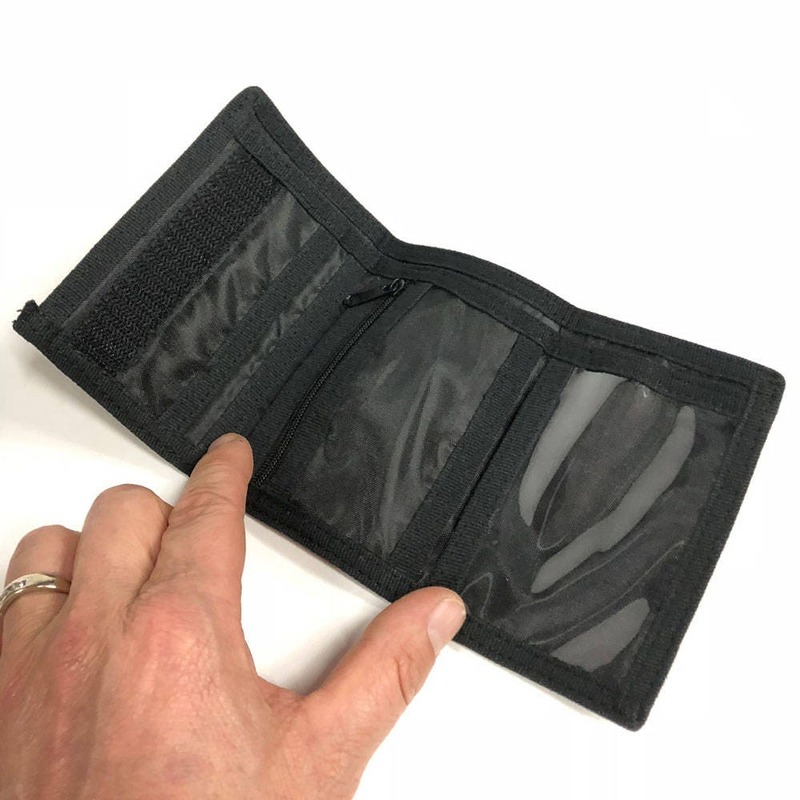 Center coin pocket with zipper, clear plastic window I.D. 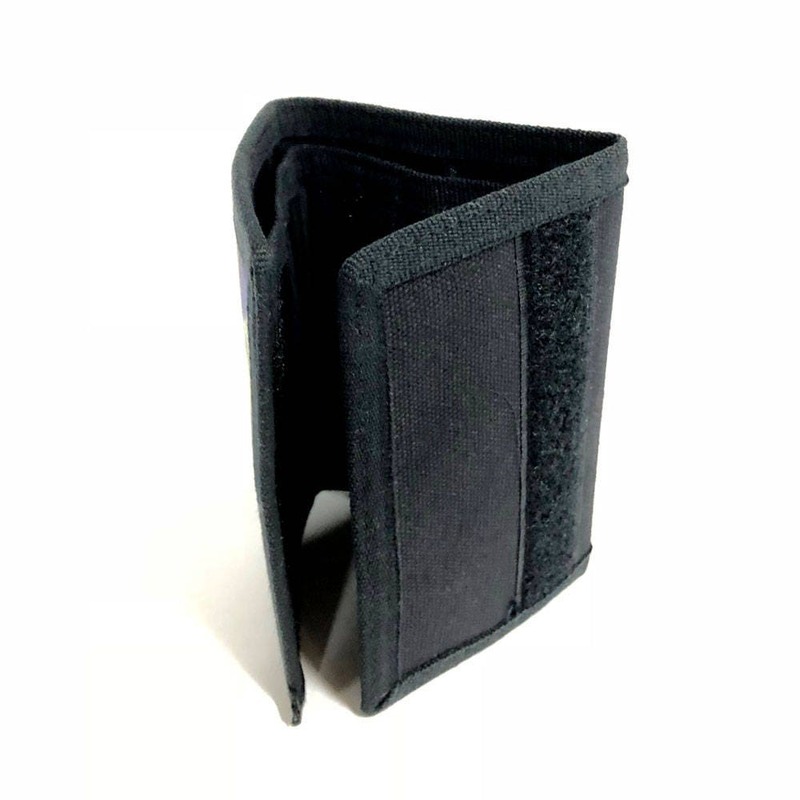 slot, generous 9” x 4” slot for dollar bills.Two additional credit card slots 3/8” black marrow finishing around all edges. 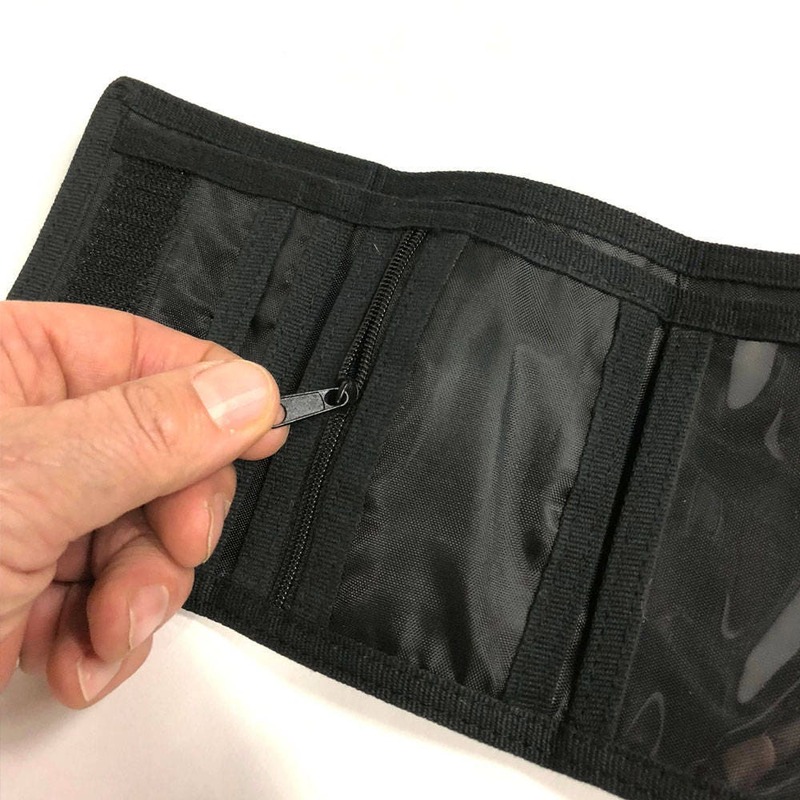 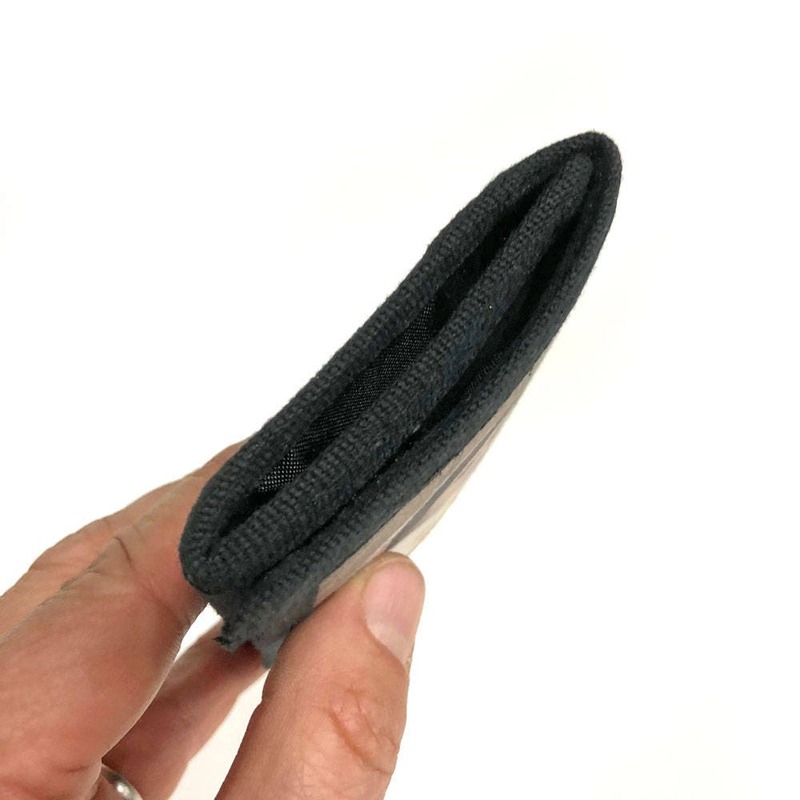 Overall dimensions when closed: 3-1/4 x 4-3/4” x 3/8” thin, totally flexible for pocket comfort!